Representatives of 18 nations attended information tours with Green Visits. 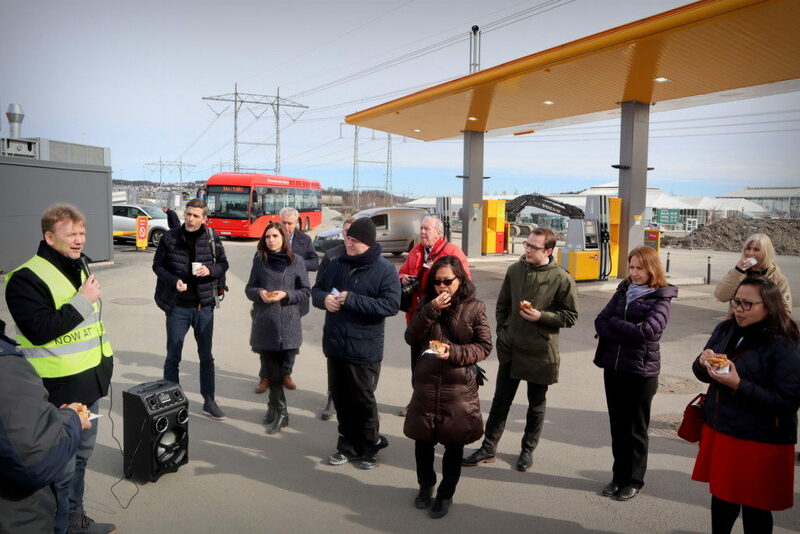 Representatives from around twenty embassies and chamber of commerce have been on a demonstration tour with Green Visits to gain an insight into Norwegian, innovative and sustainable solutions. The Green Visits team specializes in organizing professional visits for international delegations to the Oslo Region. The embassy representatives attended the tour showing examples of how green visits are organized, and presentations of what the Oslo Region can showcase to visitors. – We make sure that the visiting delegations are shown solutions for green innovation and sustainable development and ensure that they are matched with the right business relations, says the Visit Mangers in Green Visits, Anette Gangnæs. She says that embassies and chambers of commerce organize a great deal of visits for delegations and would like to show what Green Visits has to offer. – It is nice to record all the positive feedback we received this day, and we hope to achieve a good cooperation with the players in the future, says Gangnæs. 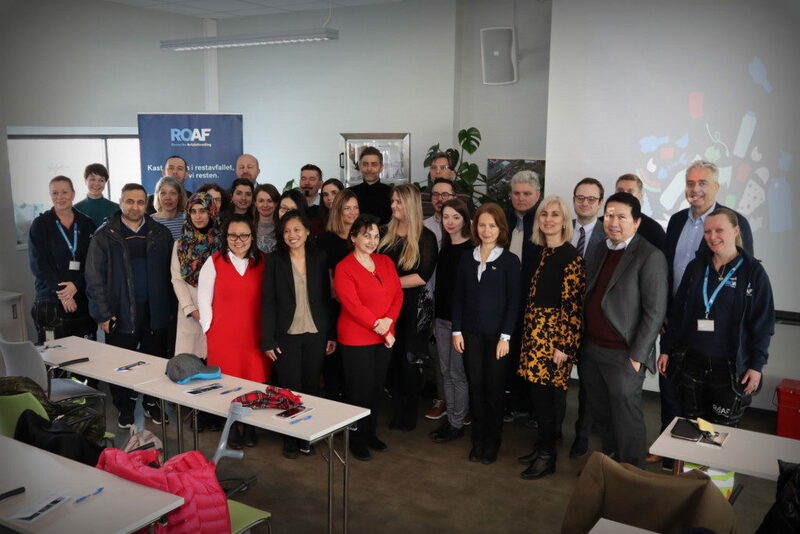 In addition to representatives of the EU delegation in Norway, Green Visits had gathered interested participants from 18 nations; Belgium, Bulgaria, Denmark, Philippines, Finland, France, Georgia, Greece, Iran, Italy, Latvia, Northern Macedonia, Russia, Slovakia, UK, Thailand, Hungary and Ukraine. 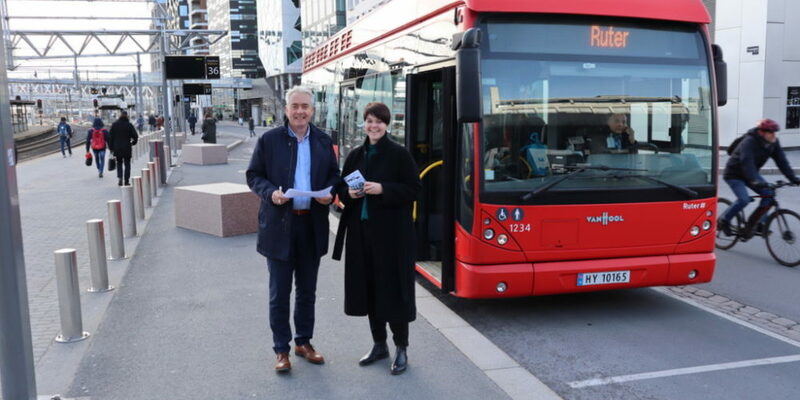 They were transported from Oslo S with one of Ruter’s hydrogen buses. The first stop was at ROAF, where the participants were given a tour of the state-of-the-art waste sorting facility. This facility uses near infrared (NIR) technology to sort resources out of household waste. Then the journey to Uno-X continued its hydrogen station at Hvam. Managing Director Uno-X Hydrogen, Roger Hertzenberg, gave the participants a presentation of the station and oriented use of hydrogen as a fuel in the transport sector. In the Kjeller Science Park, the embassy delegation was met by Mayor Ole Jacob Flæten in Skedsmo municipality. He highlighted the municipality’s renewable ambitions and told about the close cooperation with the research institutions. At Kjeller, the Green Visits participants also met Senior Adviser Eva Næss Karlsen in the Oslo Region, Project Manager Barbro Renland Nordby in the Norwegian Solar Energy Cluster.